Nara is an ancient capital of Japan that abounds with archaeological sites and cultural heritage. Historical monuments in Nara were inscribed on the World Heritage List announced by UNESCO in 1998. This web page guides you on a tour of the nature, history and culture of Nara. The old Japanese word soramitsu was used in classical Japanese poetry as ‘the pillow word (conventional epithet)’ for Yamato, the old name of the Nara region. 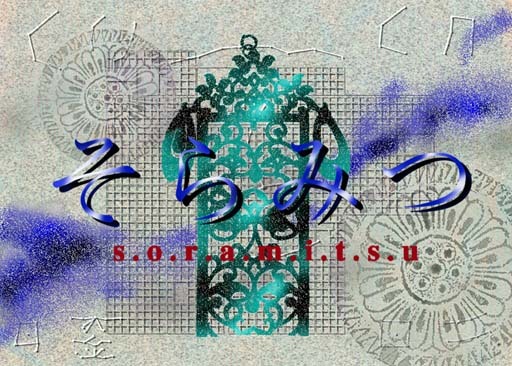 Because the Japanese word sora means sky and mi means viewing, Nihon-shoki, a history compiled in the 8th century, explained the derivation of the word soramitsu by the legend that a deity named Nigihayahi-no-Mikoto viewed Yamato from a flying boat and then landed there. The text is as follows. Finally, when Nigi-haya-hi no Mikoto soared across the Great Void in a Heaven-rock-boat, he espied this region and descended upon it. Therefore he gave it a name and called it Sora-mitsu-Yamato (Nihongi translated by W. G. Aston, p. 135). Accordingly, this tour uses a satellite image as an index and aerial photos in explanations of the various things you’ll discover. Click the red dots to read the various descriptions. Clicking the blue dots leads you to the ground views. This satellite image is from LANDSAT ETM+ data acquired on August 25, 2000. 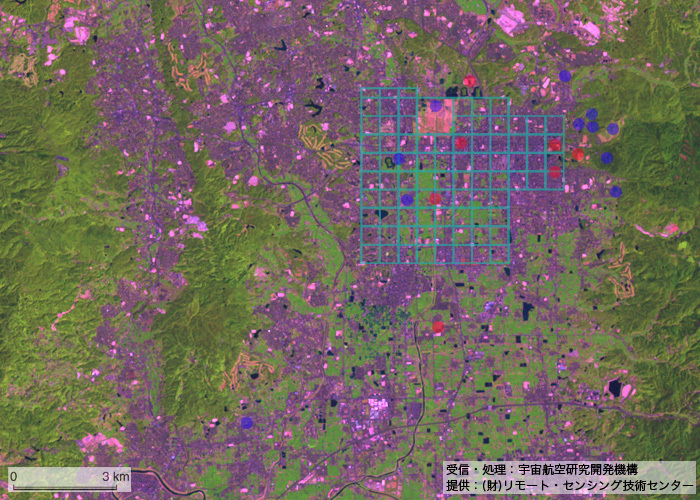 The data was received and processed by JAXA Japan and distributed by RESTEC Japan. You can also choose descriptions by time by selecting the following periods. Messengers of the Gods – Deer of Nara – Updated. 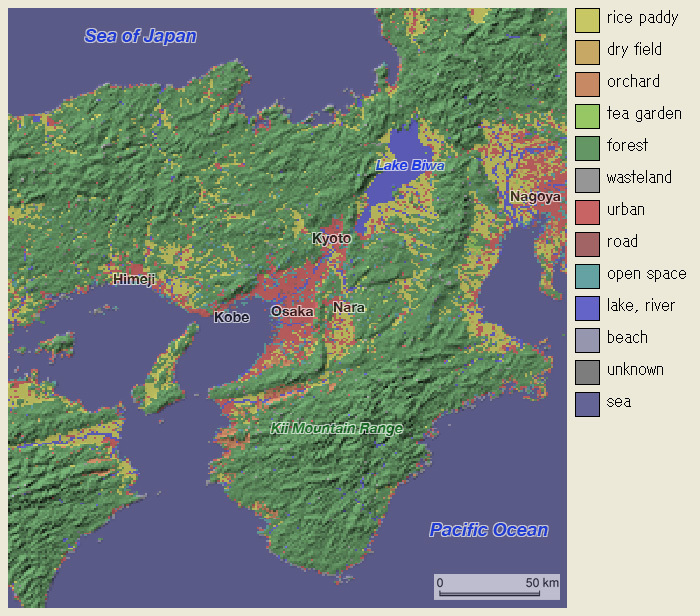 Processed and visualized by Noboru Ogata. The contributors to the Soramitsu Project are current and past faculty members and graduate students of Nara Women's University. The project is maintained by Noboru Ogata of Graduate School of Human and Environmental Studies, Kyoto University.